I found out about this book from the ever amazing Brain Pickings website which is a great place to find inspiration and guidance in leading a creative life. The book (despite consisting of 20 author interviews) is short and quick to get through. I read it in two days on subway trips to bars on a Saturday night and to softball games on a Sunday evening. But the advice and the guidance within is invaluable. What I admired about this book is while I’ve read similar amalgamations of writerly advice, this isn’t just one type of author. You have some very commercially successful mystery thriller writers, some nonfiction writers, some indie writers, a little bit of everything. And for being a book about creativity, it’s also down-to-Earth. The authors talk about their literal journey to where they are now. The logistics of paying the bills, getting published, finding time to write, changing careers. What struck me was despite how vastly different they all are in every sense, they all kind of said the same thing. Write for yourself, work really hard, don’t give up when someone doesn’t like your stuff, work hard, write about what inspires you, work even harder. It includes some authors that I already know and respect like Michael Lewis and others that I’ve never heard of. 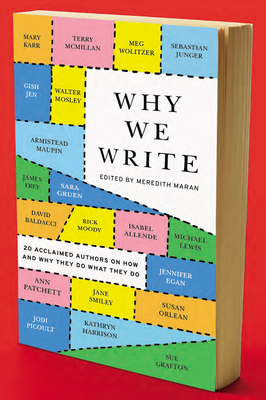 All of their stories were valuable though, and I recommend this book to anyone who desires a writerly life.